Shipping to and from the wilds of Alaska requires the expertise and specialized equipment offered by intrepid transportation providers. If you've ever watched an episode of the reality show Ice Road Truckers, you've seen what it's like to move freight in Alaska. The show follows a group of drivers who operate trucks on seasonal routes crossing frozen lakes and rivers in remote Arctic territories in Canada and Alaska. The severe weather and other dangers they encounter have produced enough drama to generate multiple seasons of the television show, which draws millions of viewers. 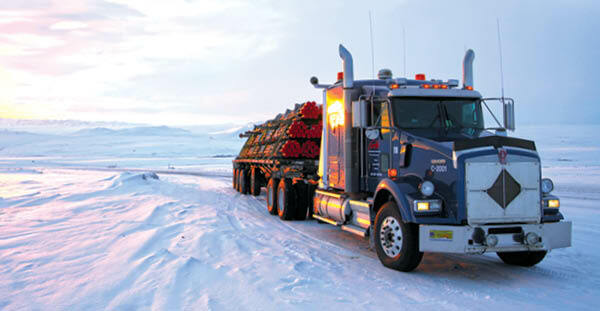 "Ice, earthquakes, floods, forest fires—we've seen it all in Alaska, but we always get the freight delivered," says Linda Leary, president of Anchorage-based third-party logistics (3PL) provider Carlile Transportation Systems Inc. "There's a pioneering, can-do attitude in Alaska, along with a huge emphasis on safety. Weather doesn't stop you here—nor does much else." Leary should know. The Alaska version of Ice Road Truckers is based on Carlile and its truck drivers. Port EvergladesHoosier EnergyElectriCities of North Carolina, Inc.